Elmont homes for sale are located in the northwestern section of Hempstead in the Nassau County, NY. Bordering Queens, NY, this suburban community has a great selection of condos, townhomes, single-family houses, and multi-family investment opportunities. With great transit and road links to the surrounding communities, wonderful neighborhood amenities, and a variety of housing options, you'll be able to find just what you're looking for regardless of your budget or housing requirements. Take a look at the property listings below for Elmont real estate, or learn more information about the types of properties and what the community of Elmont has to offer. Free Standing, Mixed Used Building. Restaurant And Bar - Storefront Space - 2br Apartment On Top - Parkink For 35 Cars. For unrestricted access to Elmont real estate listings, please register with Rizwan Basit. You'll be able to can save custom searches and bookmark your favorite properties! Elmont real estate is ideal for first-time buyers and investors. Many of the homes in the area are established properties that could benefit from your DIY skills. These charming homes have beautiful mature yards in unique neighborhoods that are perfect for young families. They also provide home buyers a great first step on the property ladder. Investors will find multi-family options in Elmont that are already up and running with renters, so all the work is done for you! There is definitely money to be made in homes in this part of town. Elmont homes for sale are affordable properties that offer great value for money. This is why many first-time buyers and investors search this area looking for a property that fits their needs. First-time buyers will be happy with the large selection of single-family homes in Elmont. With about 1,200 square feet of living space, 3 bedrooms, and 2 bathrooms, these homes have enough room for all your family at a price that you can happily afford. Areas to focus on when looking for homes at this price point include Atherton Avenue, Rosser Avenue, and Rosalind Avenue. Elmont condos for sale can be found along streets such as Foster Meadow Road or Johnson Avenue. Apartment-style condos offer buyers an affordable way to enter the real estate market. Without the hassle of maintaining the exterior of the property, taking care of a yard, or shoveling snow, a condo is an ideal starter property. With around 900+ square feet of living space, 2 bedroom, and 2 bathrooms, you'll have plenty of space for you and lots of room for entertaining your guests. Should you be able to stretch your budget a bit further, your first home could be a townhome with an attached garage. This is perfect for young families who need more room and a bit of yard space for the kids. Elmont investment properties are a fantastic way to provide you with a strong revenue stream for years to come. Whether you rent out a single-family home, add a rental suite to a single-family home, or purchase an existing multi-family property, you'll be pleasantly surprised at the offerings in the Elmont area. If you are not sure what you are looking for, then be sure to speak to Rizwan Basit who will provide you with a list of some of the best investment options in the area. Regardless of your investment property knowledge, it is best to consult an expert that knows the area extremely well. 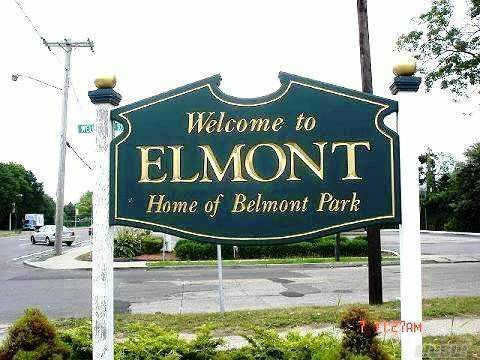 Living in Elmont, you'll have the privilege of sharing your new community with Belmont Park itself. Just recently, permission was granted for redevelopment and upgrades to the park to enhance the race track and modernize the facilities available to patrons. This historic landmark will see new buildings on vacant land as well as additional parking spaces being added. This iconic thoroughbred horseracing facility is a wonderful addition to the Elmont community. For all your commercial and retail needs, you'll be able to find most of what you are looking for along the Hempstead Turnpike, which runs through the northern end of Elmont. Whether you're looking for banks, pharmacies, city services, big box stores, fast-food chains, casual-dining restaurants, or shops, you'll have your pick of options in this area. Would you like more information about Elmont real estate? Contact Rizwan Basit to show you Elmont properties that fit your needs and lifestyle.